The first wave of culture shock hit us while we were still in Thailand. Checking in for our flight with El Al, Israel’s national airline, gave us our first taste of what our trip to the country might be like. The waiting area in Bangkok’s Suvarnabhumi airport around El Al’s counter already seemed louder than others, and the multi-stepped security check-in process was the strictest we’ve ever encountered. But culture shock doesn’t often hit you right away. It builds and compounds upon itself, as you absorb all the little things you’re experiencing in your current surroundings that are different from where you came, things you had gotten used to. After having lived in Thailand for about a year and a half, we had certainly become acclimatized to many of the country’s customs, etiquette and behaviors. 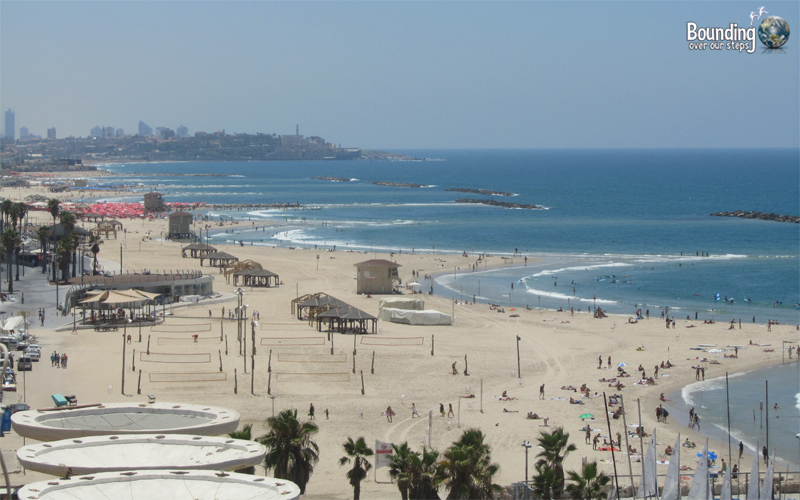 It didn’t take us long before we felt completely overwhelmed in Israel. The culture shock we experienced hit us like a bucket of ice-cold water, and despite the dry heat in Israel, it was still extremely tough to handle. In Israel, this was the most obvious difference from Thailand. Our ears had learned to pick up whispers in public settings, and the average volume in which Israelis held their conversations bombarded our auditory senses and overpowered us. It was hard to focus. We felt like we were eavesdropping on everyone else. It was impossible to hear our own thoughts. It’s not just the markets that are loud. We felt much the same way when we traveled to the Philippines, another country where the volume was much too high for our sensitive ears. 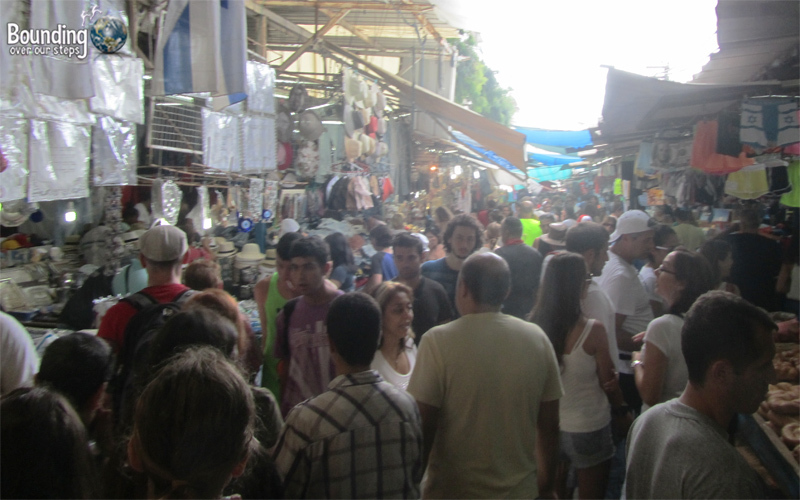 Eventually, after a few days, our brains figured out how to mute other voices so that we could pay attention only to our own, but the loud environment in Israel certainly influenced our culture shock. With gun possession in Thailand being extremely restricted, the closest we’ve come to one is seeing an image of one on the prevalent advertisements for Chiang Mai’s shooting range, a local attraction. 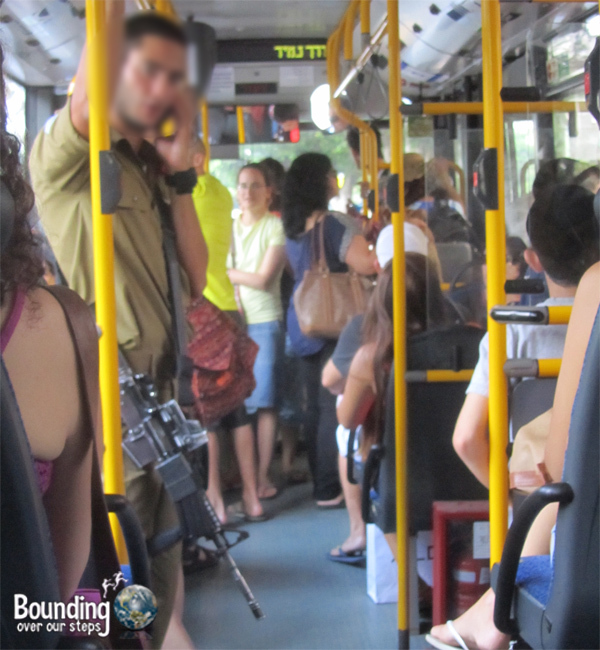 The presence of the Royal Thai Army doesn’t come close to the ubiquitousness of Israel’s armed forces. Soldiers, men and women alike, are forced to serve (3 and 2 years, respectively) and we were shocked to see so many people in uniform carrying military rifles in public places. There is definitely something disconcerting standing so close to the muzzle of a gun in a bus, at a park or waiting for a train. The culture shock wore off slowly, aided by the fact that we eventually noticed the ammunition magazines weren’t loaded in public places. One of the first things we observed living in Thailand was how reserved the Thai people are. Of course, behind closed doors, they may display more emotions, but to witness an argument in outdoor spaces or public displays of affections is extremely rare, and often causes stares from passersby. In Israel, however, we saw people wearing their emotions on their sleeve. A parking infraction led to a man screaming in rage, laughter at a joke was boisterous and frustration quickly resulted in tears. The outpouring of emotions took some time to get used to, and certainly played a role in our culture shock. Living in northern Thailand, generally more conservative than the country’s beaches in the south, it’s not too common to see exposed shoulders, bellies and thighs. In Israel, though, it was a shock to our systems to see so much uncovered skin. We understand that the gorgeous Mediterranean sunshine and proximity to beaches are perfect reasons to don bikinis and Speedos, but it caused us to inadvertently stare. Sometimes, we saw things we’d rather forget, but will remain burned into our memories. When we saw the thick, dark hair of men escaping from the edges of their tank tops or the leathery, tanned skin of retired women, we found ourselves longing for the reserved dress code of Chiang Mai. Perhaps the primary culprit for our culture shock in traveling from Thailand to Israel was the massive disparity in the prices of everything. From food to lodging, from transportation to toothpaste, we suffered for about a week before our we managed to pick up our jaws from the floor. Chiang Mai is known for its low cost of living, with full meals costing as little as $1 and a taxi ride across the city being even less than that. 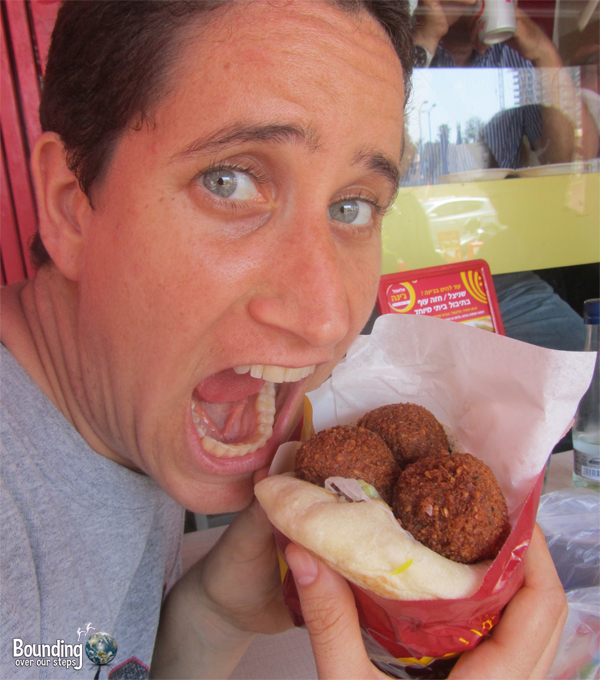 Cost of falafel, so high and so worth it! Price tags being 10 times higher than what we had come to expect was an extremely difficult fact to swallow. However, once we came to grips with that and realized that we still indeed needed to eat, required a bed to sleep in and wanted to see the country, the culture shock wore off. A secondary wave hit us when we returned to Thailand and took account of how depleted our bank accounts had become, but the memories of our trip helped ease our minds. Where have you experienced culture shock? The difference from when I was a teenager over 60 years ago to the clothing and behavior of the young girls of now-a-days, could be considered way more shocking. When I go to a different country everything I see will not shock me, but excite me, and at the same time it is expected. The change in our own society could be way more shocking, but I make myself think: INTERESTING! The biggest culture shock I ever experienced was returning to the U.S. after three years in South America. The prices, the air conditioning, the array of choices in grocery stores, the opulence, using the phone to call your neighbor right next door. That experience was encapsulated by seeing a Winnebago towing a big car behind it–really, is that necessary? That was in 1972, and the culture shock still affects me to some degree. Personal space is always the first thing I notice, but even in Toronto’s different ethnic neighborhoods it can change drastically.